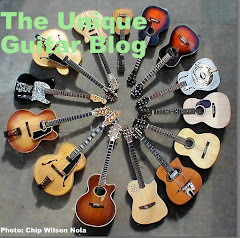 Question: What was the well-known guitar resembled the shape of a Gretsch Country Gentleman, which was first produced in 1957 and also resembled the shape of the Gibson ES-335 and ES-330, that were first manufactured in 1958, however this guitar predated all of these instruments as it was first seen in 1955? OK, I’ll give you a hint. It was a tenor guitar and had the face of a famous cartoon mouse on the top. 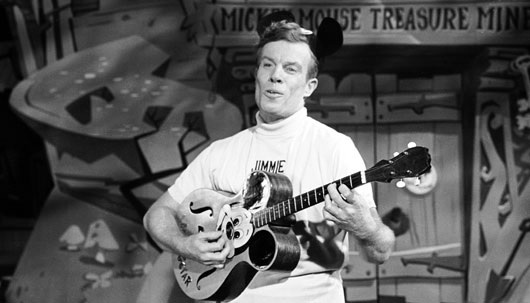 Answer: It was the Mickey Mouse guitar aka The Mousegetar that was given to Jimmy Dodd, the head Mouseketeer. 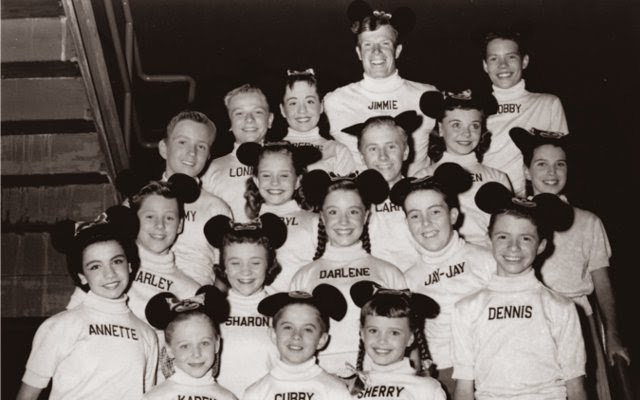 I know many of you are asking, who is Jimmy Dodd and what is a Mouseketeer? Back in 1955, when the Baby-boomers were sprouting up, the Walt Disney Corporation aired an hour long filmed television show on ABC TV that was aimed at the rug rats of that era. They called it The Mickey Mouse Club. 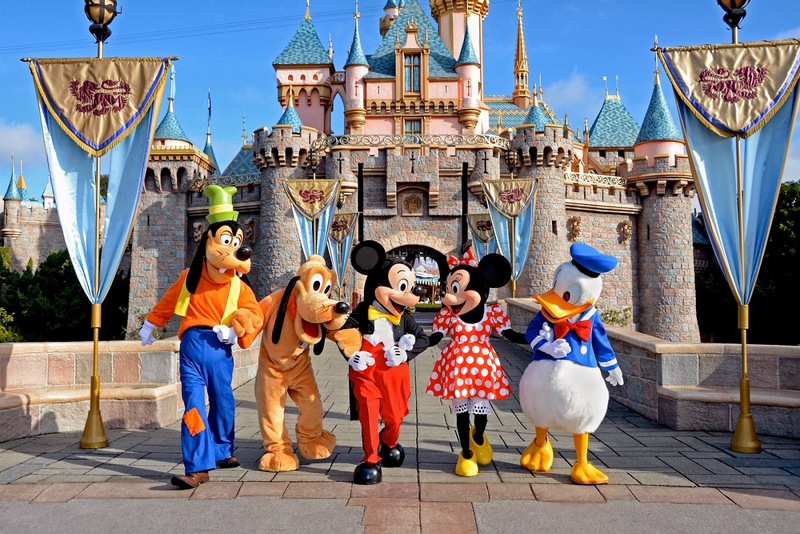 It was part variety show, part serial drama show and mostly infomercial that bestowed the wonders of Disneyland. This show caused all of the children viewers to let their parents know that if they weren't immediately whisked away on a trip to Disneyland in scenic Anaheim California. Because that was where life was happy and beautiful because everyone sang and danced and didn’t have to worry about ducking and covering on account of the Cold War. If they didn't go, their young lives would be forever ruined! Even though he was an evil dictator that promised to bury the United States citizenry, Nikita Khrushchev was invited to go to Disneyland. Elvis went there after hours to prevent being crushed by loving female fans. I have never been. And I'm 57 years old. Perhaps that's the root of all my adult problems. However let us get back on topic. Jimmy Dodd presided over a group of carefully selected children that could sing and dance and most of all look really cute. Dodd was an actor that had appeared in several movies, but is best remembered for his role on The Mickey Mouse Club. 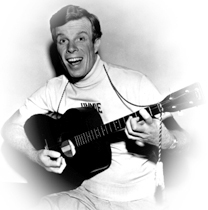 He was a fine singer, songwriter, played tenor guitar and wrote the show's theme song and most of the other tunes heard on the show. Jimmy owned a wonderful old 1940’s era mahogany top Martin tenor guitar. 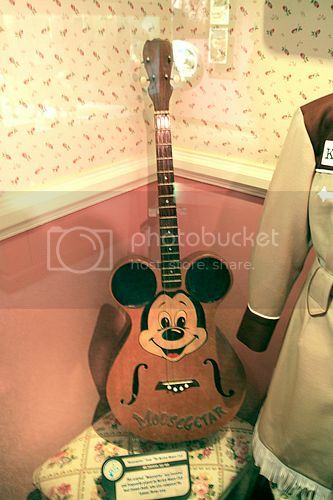 But for his role as Master of Ceremonies and head Mouseketeer the Disney Corporation not only presented him with a Mickey Mouse ears cap, but an unusual custom made tenor guitar. The guitar was made in Candelas Guitar Shop by shop craftsman Candelario Delgado. That is another story. The shop is still in existence and still run by family, Manny and Tomas at East Cesar Chavez Avenue in Los Angeles California. 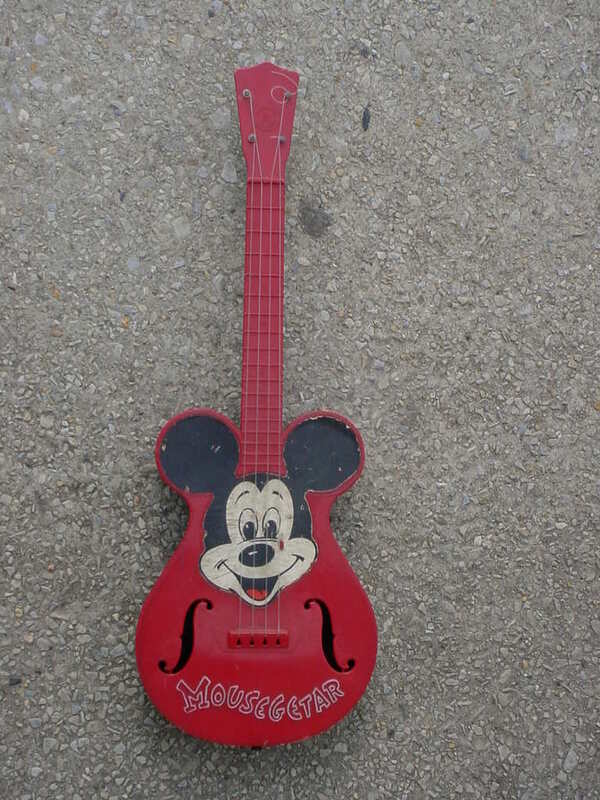 This Mousgeetar spun of an industry of toymakers making plastic Mousgeetars to sell to all the kids in TV land. One of the makers, Emenee Toys had a connection to the designer of the Maccaferri Selmer guitar. Mario Maccaferri came to the United States and was very successful in the injection plastic industry. His company was one of those that made the plastic toy mousgeetars. Actually, this guitar was made by Candelario Delgado (not Flores), who with his brother Porfirio (we called him Pilo) owned the Candelas guitar shop. It was first located in East L.A. then moved to 1066 W. Sunset. Pilo's grandson Tomas now owns the shop, back at it's original location in East L.A.
Also check out www.candelas.com. It's good to see that both Manny and Tomas are still in the family business. I have many happy memories of those Saturday afternoon jams at the old shop on Sunset. Excellent comments on Jimmie Dodd. (Note the correct spelling of his first name). BTW,there must have been a million of those "Mousegetars" made. Maccafferri made NINE MILLION plastic ukuleles!